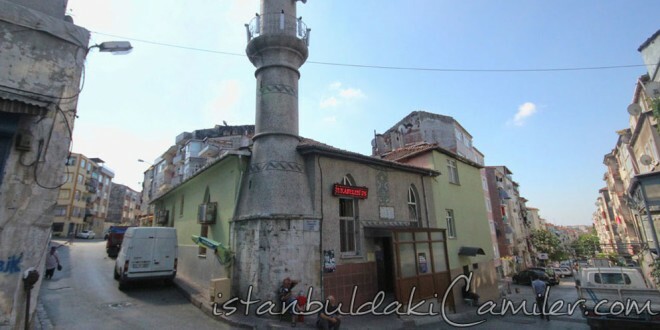 Founded on the intersection of Sofali Cesme Avenue and Uzunyol Street, in the Fatih province the Kececi Piri Mosque is also known as Sarmasik Mosque or Abdulkadir Efendi Masjid. The mosque had been built by Kececi Pir Aga, in 17th century. Even though the resources say the constructive of the mosque is Hadikada Kececi Pir Aga, some resources say it was Kazakasker Abdulkadir Efendi. The minbar of the mosque had been installed during 1739-1749 by Muderris Ebu Tevfik Eyyub Efendi after his father’s will Ebu Eyyub Recep Efendi who was one of the Egyptian Muslim Judges. On the gravestone of Eyyub Efendi is written his son’s saying “Tarik-I tayyedup Eyyup Efendi gitti Ukbaya”. In the inscription of the mosque it is written that the mosque was renovated in 1899.